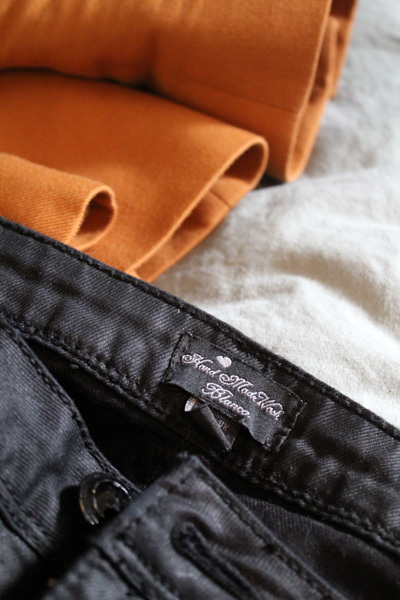 Meet my new skinny black jeans from Blanco. Perfect black wash, chic and grown-up, to be worn in occasions where the faded blue slouchy boyfriend kind just won't cut it. Cropped to the ankle to show some skin when worn with pumps, plus the cute zipper adds a little rock-chick something. Other than the huge selection of jeans in-store right now (I also got another pair, to be posted next) and the great pricing (jeans start at just €17,99) Blanco also has another great offer up this days: For every pair of jeans you buy, you get €5 off your next purchase. Not bad at all! Hurry up though, the offer is valid just until this Saturday, February 19th. Black skinny jeans, courtesy of BLANCO. 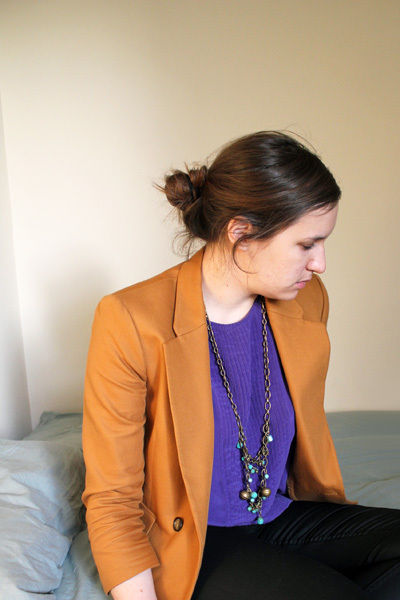 Pumpkin cropped jacket, purple silk top and brown wedges, ZARA. 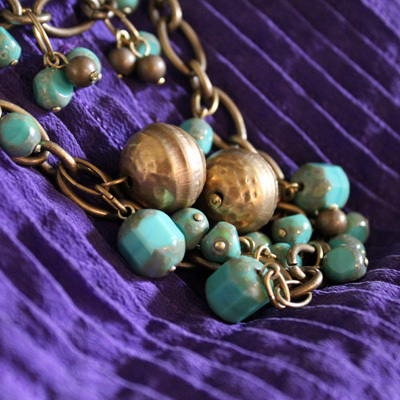 Turquoise necklace, Massimo Dutti. Cognac leather bag, Uterqüe.